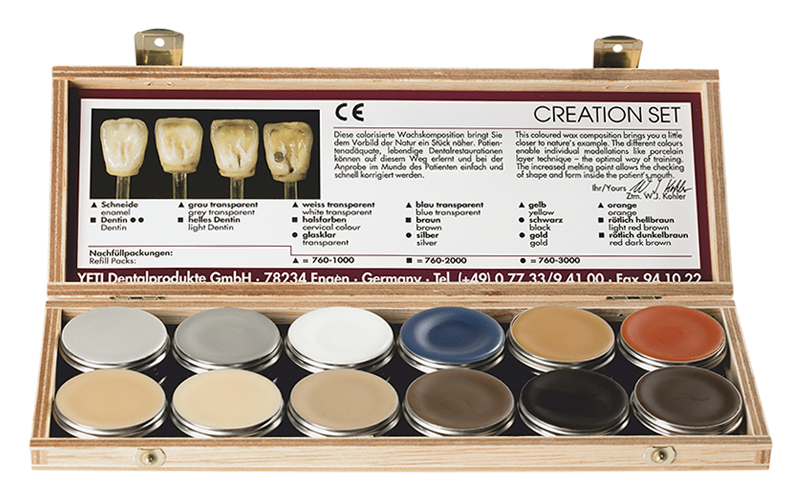 Waxes in 12 different colours to learn the labour-intensive layering technique while creating a dental crown in ceramic. 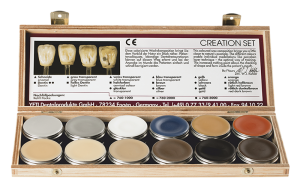 The colour selection of this set allows to create a natural looking saturation in wax for both, dentist and patient. The elevated melting point qualifies these waxes for diagnostic use, the modellation can be done in the patient’s mouth to check shape and colour.